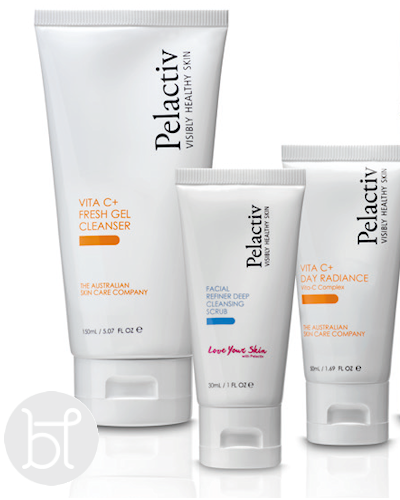 The perfect Pelactiv Vitamin C skincare pack. Please read the description to understand the precautions of using Vitamin C. You also can chat live with Venessa for further questions. This Pelactiv skincare pack is a great start and saves you money! Fresh Gel Cleanser 150ml- This deliciously refreshing Pealctiv Vitamin C foaming gel cleanser enriched with Vitamin C and Green Tea Extract offers immediate moisture to the skin plus long term hydration as it removes impurities without drying your skin. Specifically formulated to re-hydrate and soften the skin while gently minimising pores. Leaves skin clean, soft and beautifully hydrated. Vitamin C Day Radiance 50ml– Repairs skin suffering from free radical damage due to over exposure to UV rays and harsh environmental conditions. Broad spectrum antioxidants fight against free radical damage, refine skin texture, even out skin tone, encouraging new cell growth. Stimulates collagen synthesis. Bonus FREE Facial Refiner Deep Cleansing Scrub – 50ml: The Pelactiv Facial Refiner Deep Cleansing Scrub will gently dissolve dead and rough skin cells and any impurities. This will instantly invigorate lack lustre skin.Please read the description to understand the precautions of using Vitamin C. You also can chat live with Venessa for further questions.Ensure you always use a Sunblock after your application. Please view our full range of Sunblocks by clicking the link.